Since World War I and especially after the 1960’s, American nationalism has centered around the civic “minuteman culture” of the Founding Fathers and a stern belief (and rightfully) in America’s exceptionalism. With the rise of Donald Trump however, and his subsequent appointment of Cabinet members like Steve Bannon, the American brand of nationalism being politically implemented is grounded in “a populist economic nationalist agenda,” or what Bannon claims was the model “this country was built on, the American system….” Detractors on the Left, who ascribed to the internationalist positions first expressed by Karl Marx and vested within the United Nations, view any American nationalist as “nativist” and “racist”. Christian democracy is a European political ideological form of conservatism. Emerging during the 19th Century, it incorporates traditional social influences of both the Roman Catholic Church, Neo-Calvinism and other Christian denominations, including the Lutheran Church and the Reformed Church. After World War II, Christian democracy became associated and reshaped by the Social Gospel and Neo-Thomism, and is oft described as center-right culturally, even commonly associated with America’s conservative orthodoxy. 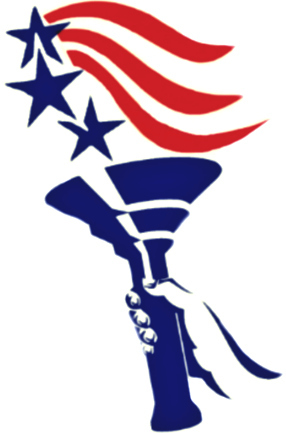 With Trump’s rapid ascent coinciding with that of the Alt-Right, and with the Republican establishment content with siding with the party’s new federalized nationalist infrastructure in order to undermine the party’s conservative majority, rethinking the conservative movement, tip to tail, is to the advantage of the rising “Conservative Counterculture” if America’s Judeo-Christian values emerge victorious from its great patriotic counterrevolution. One such model for consideration is a very American form of Europe’s Christian democracy. Christian Democrats view that various critical sectors of society (such as education, family, economy and state) must maintain “sphere sovereignty” — or the individual, family or community exercising responsibility over their own sphere at the most local levels through social and political autonomy — while not infringing on the moral, voluntary obligations of another social entity. For instance, the “state sphere” must not interfere with the parental prerogative over raising children, as this is defined as a role belonging to the “family sphere,” while civil issues should initially be addressed at the lowest level of government before advancing to a higher level in a doctrine known as “subsidiarity”. The two concepts, sphere sovereignty and subsidiarity, are considered the cornerstones paramount to Christian Democracy political ideology. Collage of Christian Democratic Party logos. As with any political ideology, Christian democracy has had different manifestations over time and between countries. Generally, Europe’s Christian democratic parties are moderately conservative, and in several cases form the main conservative party in their respective countries (e.g. in Germany, Spain and Belgium, Switzerland: Christian Democratic People’s Party of Switzerland (CVP), Christian Social Party (CSP), Evangelical People’s Party of Switzerland (EVP). Federal Democratic Union of Switzerland (EDU). But these generalizations, however, approach the American conservative with the caveat that Christian democracy in Europe does not fit precisely into the usual categories of political thought, but rather are frequent amalgamations of conservatism, liberalism and social democracy. But by contrast to America’s conservative orthodoxy, European Christian Democracy is at times open to inorganic change (for instance, in the structure of society or government infrastructure) and not necessarily supportive of the social status quo, though not like when left-wing governments place nigh full emphasis on the community, social justice and political solidarity through support for a welfare state, labor unions and broad regulation of market forces. All these points by the select left-wing Christian Democrat parties in Latin America advocate class struggle influenced by Marxist liberation theology. American nationalism, according to scholars like Hans Kohn (1891-1971), is predicated on institutionalized civic and individual responsibilities based on legal and rational concepts of citizenship; and on a common language (English) and cultural traditions, rather than ethnic nationalism as with Europe. But the definition for “Nationalism” has become obfuscated, for it is not necessarily an ideology, but rather a modern movement, with many scholars regarding “the American and French revolutions… as its first powerful manifestations.” Whereas the violence of the French Revolution was an organized response to centuries under a repressive authoritarian feudal hierarchy (“anciens regime”) by a dueling underground enclave of left-wing intellectuals called the Jacobins and Girondins, its American predecessor employed a popular rejection of British imperial rule as victims of mercantilism, of “taxation without representation,” of an adolescent child who, having come of age, had finally tired of the motherland’s overbearing, trifling rules preventing her from being all that she could be. Lord Acton provides a still superior explanation regarding the differences between the world’s first two revolutions. Because “There could never be a revolution less provoked by oppression than America,” Acton reasoned that “… the right of a nation to judge for itself could not be denied.” Conversely, “What the French took from the Americans was their theory of revolution, not their theory of government — their cutting, not their sewing… The Americans, having broken the thread in 1776, spliced it together again. They became eminently conservative in 1787.” And yet, academia frequently credits the violence which led to France’s revolution becoming the first left-wing totalitarian regime as the most geopolitically significant epoch in modern history, while at the same time, denouncing the “racist” American experiment, in some cases, to be genocidal, under a revisionist narrative that evil white settlers sought to exterminate Native Americans while clutching ever tighter to slavery. If nationalism is uniformly “the premise that the individual’s loyalty and devotion to the nation-state surpass other individual or group interests” according to Encyclopedia Britannica, then Beck, as usual, ridiculously hyperventilated behind the microphone inside his Dallas studio. Beck is himself a nationalist; in fact, he is an openly proud American patriot, a “flag waver”. If people are willingly identified based on their favorite college football program’s conference just as colonists did primarily by state (in fact, there were 13 colonies, not one united front, prior to the formation of the new nation), America cannot be a nation grounded under any common cultural foundation. Rather, it thrives off primally tribal “ethnographic principles” much as the original settlers who, over 30,000 years ago, crossed the Bering Strait land bridge into an untamed North America. American nationalism has always rejected the erosion of national sovereignty or, more specifically, “the particular and parochial, the differences, and the national individualities” the United Nations and European Union have successfully undermined, destroying what is “universally human, the faith in reason (one and the same everywhere) as well as in common sense, the survival of Christian and Stoic traditions… compatible with cosmopolitan convictions and… a general love of mankind” driving their agenda for a one world government. To preserve America’s exceptionalism is to embrace a far more patriotic approach to conservative nationalism attainable only through limited, more localized government, a full retreat into free market capitalism and appreciation for the Constitution. Here again, Beck is correct when he argued that Bannon’s vision of Trump’s “American system” epitomized the need “for small government all the time.” Then again, his reference to Henry Clay neglected to include how his “American system” never called for deporting millions of Jews and other political undesirables to concentration camps inside box cars, or how blacks post-slavery were to become segregated through indoctrinated animus inside major urban ghettos — or what conservative blacks refer to as “the Democrat plantation” — where, by a wide margin, the nation’s third largest racial demographic by far aborts more of its babies and has the highest crime rates and figures per annum. Therefore, to save America is not to embrace Bannon or Trumpism, but rather for the federal government to devolve, to give way to Main Street, not Wall Street. Americans should be taught to answer affirmatively whether “Each neighborhood? Each block? Each house? Each person?” should secede before the rise of unconstitutional government overreach or UN-based international socialism kills the American republic on which conservatives stand.